Match racing is one of the highest intensity disciplines in the sport of sailing. Because the courses are so short, with most races only lasting about 15 – 25 minutes, the interactions between the boats can get hairy, thereby demanding a complete knowledge of the rules and errorless boat handling. This close-quarters, high-adrenaline racing is what brought the crew of 212 Degree Racing together. The team’s name derives from the fact that water boils at 212 degrees Farenheit. Boiling water creates steam, which can be used to power something as great as a locomotive. Because water will not boil at 211 degrees, it’s that one degree that makes all the difference. 212 Degree Racing is a match racing team helmed by 22-year-old Jonathan Hammond of Clayton, NY. Jonathan originally learned to sail a Sunfish on the St. Lawrence River. After purchasing a Hobie 16 and a few years of trial-and-error sailing during high school, he moved to St. Thomas, USVI with his parents, where he joined the Antilles High School sailing team and got his first real taste of racing. Then, after a few years of sailing with the U.S. Coast Guard Academy’s Offshore Sailing Team, Jonathan discovered the Oakcliff Sailing Center in Oyster Bay, NY. In December 2011, he moved there to pursue professional sailing. Often doing bow or trimming is Madeline Gill, a 23-year-old from Norwalk, CT. Madeline learned to sail at Cedar Point Yacht Club in Optis and Vanguard 15s. After racing in numerous dinghies and keelboats, she went on to study Environmental Sciences at the University of Virginia, racing with the varsity sailing team for four years. She also studied at the University of New South Wales in Sydney, Australia for a semester, where she took advantage of many new racing opportunities. Immediately after graduation in 2012, she too began sailing with Oakcliff. Completing the list of permanent crewmembers is Andries Feder, a 20-year-old from Oyster Bay. Andries learned to sail while cruising with his family, participating in junior sailing programs, and racing keelboats while growing up. Being from Oyster Bay, Andries has sailed and worked at Oakcliff for years. He’s currently a freshman at McGill University in Montreal, Canada, and will be heading back to Oyster Bay to race with the team this summer. Conveniently for these three sailors from the Northeast, Oakcliff has developed programs for young sailors aspiring to become professionals. The Acorn and Sapling programs, as they have been dubbed, are designed to introduce young sailors to the sailing industry. Through the programs, sailors are able to gain exposure to offshore and match racing, make connections with top-level sailors, and further their education and experience in all aspects of sailing. The instructors and industry experts that make appearances at Oakcliff can range from Volvo Ocean Race veterans to World Match Racing Tour cardholders past and present. Appropriately, it was at Oakcliff that 212 Degree Racing was formed after Jonathan and Madeline participated in the Sapling program in 2012. 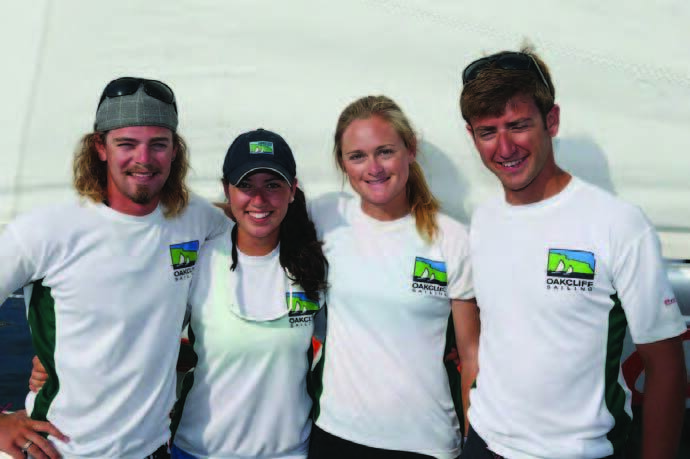 Jonathan, Madeline and Andries have focused on match racing individually over the past few years, and were first given the opportunity to seriously pursue their dream together at Oakcliff. The team’s long-term goals are to obtain invitations to the Alpari World Match Racing Tour, the world’s leading professional match race series, and ultimately win the title of World Match Racing Champions. There are a number of high level events in the U.S. that serve as a proving ground for sailors aspiring to compete at the highest levels of match racing. One of these is a series of four Grade 2 regattas (match racing regattas are graded from 1-5 based on a combination of factors relating to the difficulty of the event, with 1 being the highest level) called the USA Match Racing Grandslam Series, which comprises events in Chicago, Detroit, and on Long Island in Manhasset Bay (the Knickerbocker Cup) and Oyster Bay. The winner of the series gets invited to the oldest Grade 1 event in the country, the Congressional Cup. Winning this event will get your name on a trophy next to some of the world’s most famous sailors, including many America’s Cup winners, as well as an invitation to a World Match Racing Tour event. 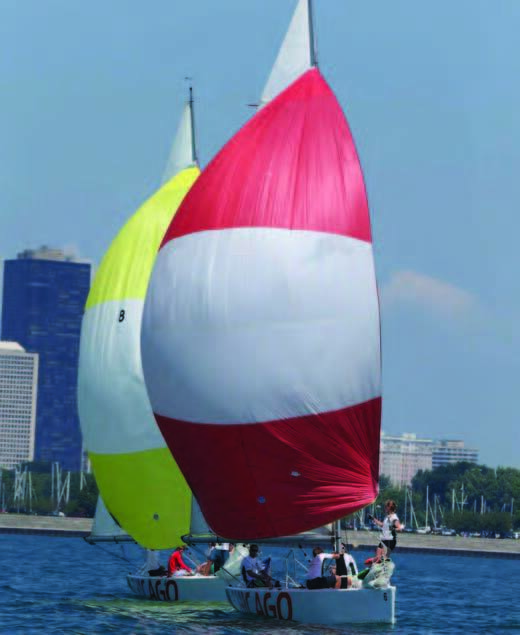 In order to work toward their goal, 212 Degree Racing participated in Grade 3, 4, and 5 events in 2013 that were contested at Oakcliff and the Chicago Match Race Center in Chicago, IL. In their first season, they rose in the International Sailing Federation (ISAF) Open Match Racing rankings from 467 to 117. For the upcoming season, they are looking to factors in making 212 Degree Racing a team to watch. Other major supporters are Jack Halyard’s American Bar & Grill, Dry, Inc., Gill & Gill Architects, and John & Donna Hammond. In order for 212 Degree Racing to achieve their goals, however, they need your help. Monetary donations help to cover entry fees, travel expenses and some team gear, although there are many other ways to help them out. For more information about how you can support the team, including purchasing a 212 Degree Racing t-shirt, visit their website at 212degreeracing.com. You can also email the team at info@212degreeracing.com. To follow what 212 Degree Racing is up to in the off-season and keep tabs on their action once sailing starts, check out their Facebook page at facebook.com/212degreeracing or follow them on Twitter @212DegreeRacing. More information about Oakcliff can be found at oakcliffsailing.com.